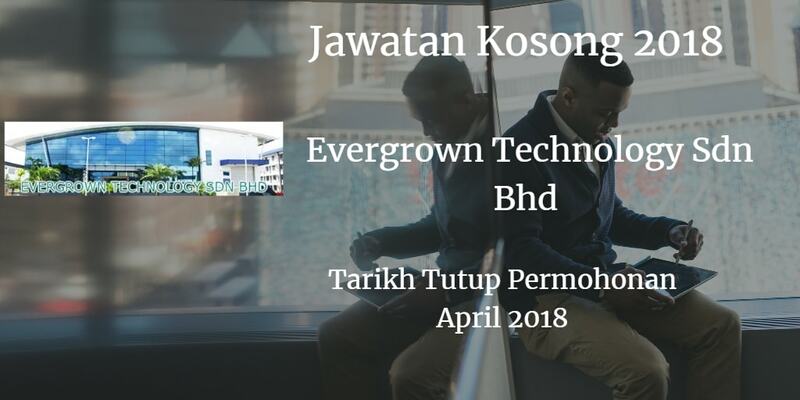 Jawatan Kosong EVERGROWN TECHNOLOGY SDN BHD, Johor Baru, 2018. Syarikat EVERGROWN TECHNOLOGY SDN BHD Johor Bahru membuka peluang pekerjaan EVERGROWN TECHNOLOGY SDN BHD,Johor Baru, terkini 2018 ,ini. Having knowledge in CNC Programming. Having to setting up CNC Machine upon received new drawing. Handling production output as well as work closely with quality team. Please mention your preferred position when you email to us.